This flowchart is meant to cover the rough steps to go from caravan to a fortress that works well enough to begin focusing on other projects. Begin at the "Start" node, then consider doing the necessary step to head to the next red goal. The order is not absolute, and the flowchart doesn't claim to be the best way to do things, but it can be helpful as a non-linear checklist toward your first fortress. 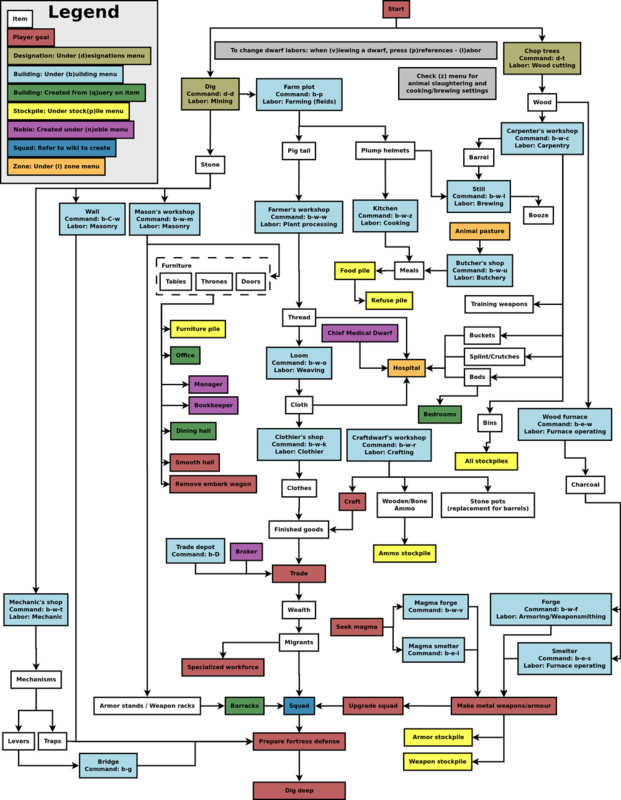 To learn how to do the things in this diagram, use the wiki, trial and error, or the forum. This page was last modified on 10 March 2018, at 17:39.